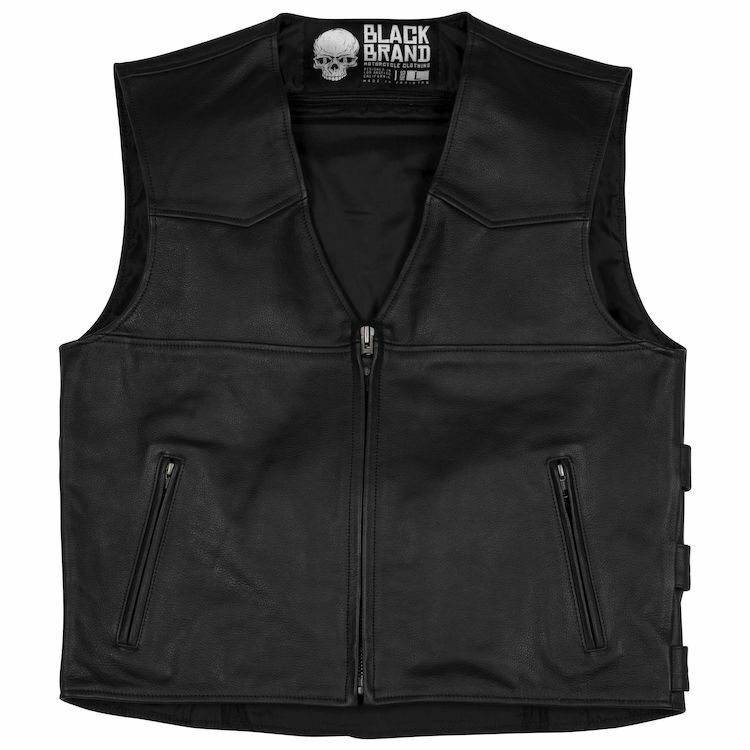 The Guardian vest is the perfect complement to your riding gear. With a full liner for comfort, YKK zippers, heavy-duty side adjustment buckles and secure zipper closure pockets, the top-grain leather Guardian will serve you well on every ride. Another home run for Black Brand ! Black Brand is plain awesome, stylish line of jackets/vests, helmets and much more. Love the attention to details on this vest. The leather quality is great and feels good. Very durable and awesome looking. The vest is light but still will provide good protection. You can't go wrong with Black Brand !